This is the Whitefish River with Big Mountain in the background. Yes Big Mountain, that is its name. 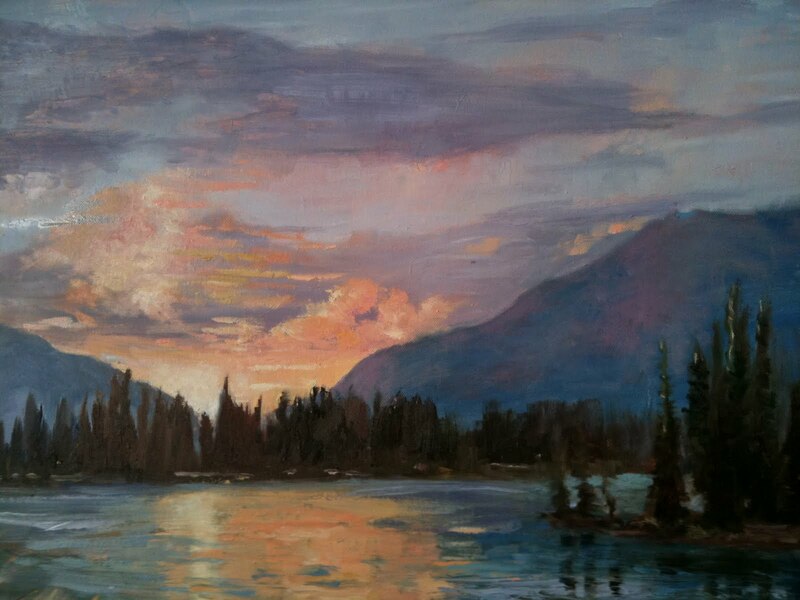 I painted this on the shore of Lake McDonald in Glacier National Park. So far the pass in the park is not open due to heavy snows this last winter. This is our Sunrise View where we stay.